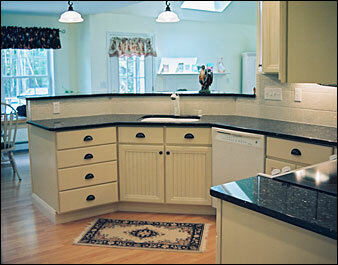 An educated homeowner is a kitchen and bath professionals best customer. The quality of information will make all the difference, while creating your dream kitchen! Conducting a Needs Analysis is an important step in designing your kitchen. The following outlines some of the questions you can expect from our design consultants during the initial meeting as they try to determine your needs, wants, and most importantly, desires. Is the kitchen a place where people socialize? What secondary activities take place in the kitchen? What type of specialized storage is desired? What type of cabinet interior storage are you interested in? What specialty electrical appliances do you plan to use in your kitchen? How do you plan on sorting recyclable items? Have you made a sketch or collected pictures of ideas for your new kitchen?